tures, tips and tricks as well as social media and technology updates. Following in Twitter’s footsteps, which quickly realized that brands and celebrities want a way to claim their identity on the service, Google plans to verify the identities of public figures on its social network, Google+, CNN reports. According to Hollywood consultant Brett Schulte, Google is “very interested in having celebrities”, and is currently looking at several different methods for the verification process. The plan is unconfirmed by Google, but the company recently told brands and businesses not to create Google+ profiles just yet, as it works on a better experience for them. Twitter, for example, displays a special badge on verified profiles. Facebook doesn’t specifically indicate verified profiles, but it does remove fake profiles on user request. 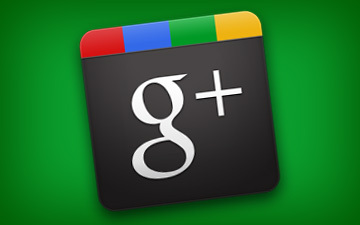 Google+ recently reached 10 million members, which made it the fastest-growing social network of all time. As such, it has to expand and refine its offerings far quicker than Facebook and Twitter did. Verified accounts are definitely an important step for Google’s social network as it would make it more attractive to public figures and celebrities. Google has the advantage of hindsight, though: By carefully treading the ground between Twitter and Facebook, it might end up having the best of both worlds, and being able to learn from its opponents’ (and its own) past mistakes and successes will definitely help with that.